Although in B&W, the screen provides an incredible quality with an outstanding density. Once the text or the image has been sent to the display, the screen keeps it with no power required! 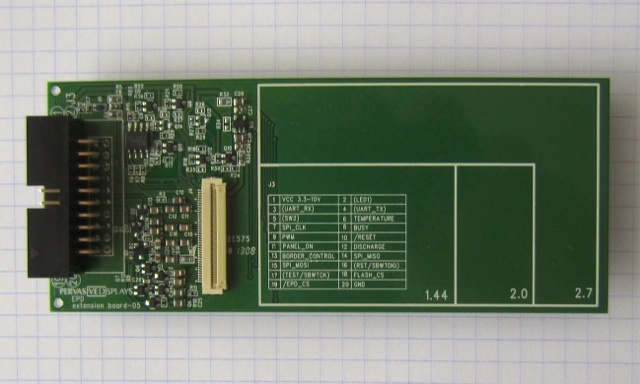 This is a perfect solution for ultra-low power designs and pervasive information solutions. New release 231 no longer requires a PWM signal on pin 9. This makes the BoosterPack compatible with all the LaunchPads. 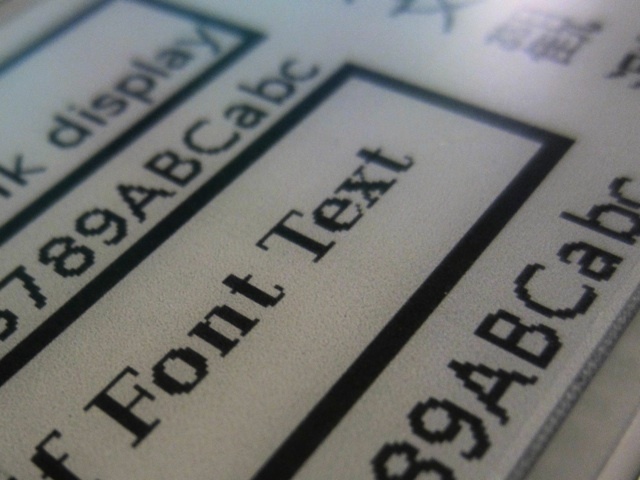 A new version of the BoosterPack is available: see Pervasive Displays e-Paper EPD Extension Kit Gen 2. 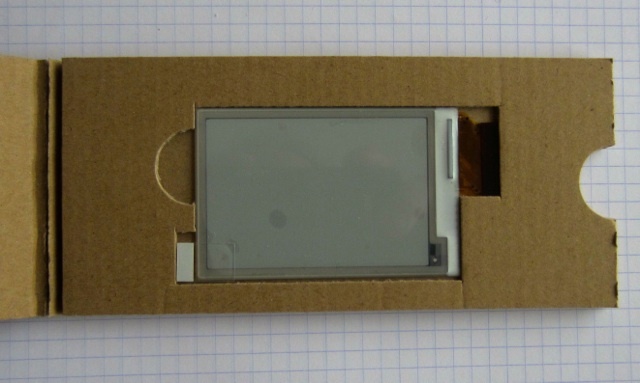 The Pervasive Displays e-Paper EPD Extension Kit comes carefully packed. The same extension kit can be used with 3 different screens: 1.44", 2.0" or 2.7". The board includes the display with its circuitry and an EEPROM. Both are driven through SPI. 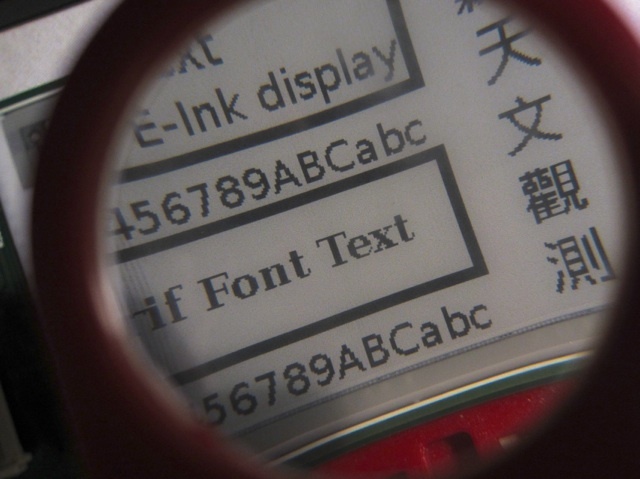 Contrary to other displays, the e-paper screen has no VRAM or SRAM memory. 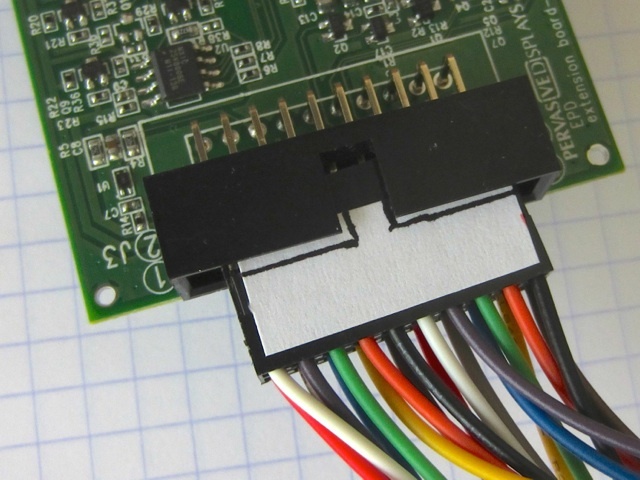 The VRAM is thus provided by the MCU or by an external SRAM circuit. The 2.7" screen requires 5808 bytes. 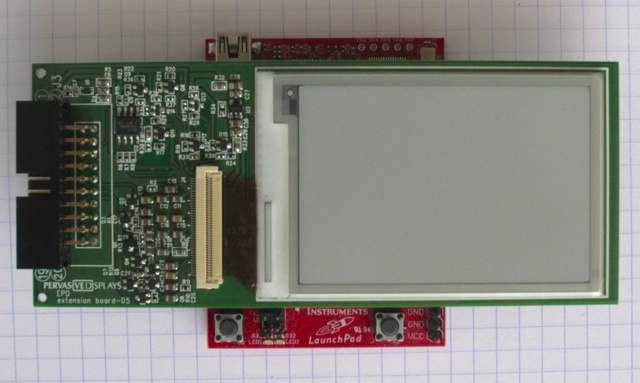 The e-Paper EPD Extension Kit is designed to fit onto a LaunchPad MSP430. It uses PWM in pin P2_1 on the LaunchPad MSP430, which is not provided by hardware on the corresponding pin PA_5 of the LaunchPad Stellaris. 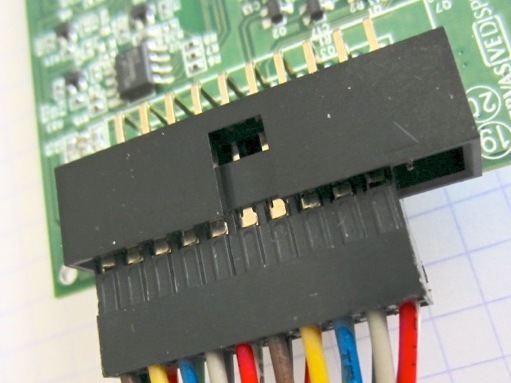 This provides the opportunity of adding a SPI SRAM with pin P1_0 as Chip Select. 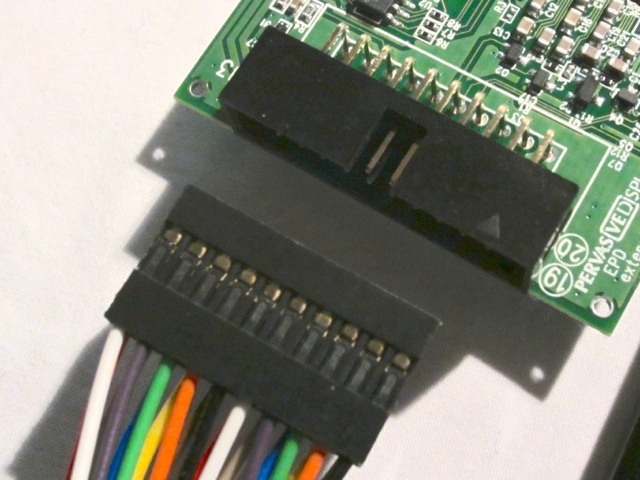 The e-Paper EPD Extension Kit also features a 2x10 pins connector, allowing easy connection to other boards, as the Stellaris LaunchPad, the Arduino Uno, Leonardo or Mega. 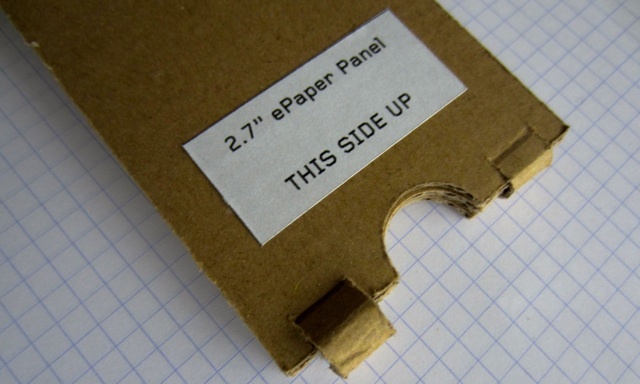 A detailed pin-out is provided here. To avoid misplacement, do not consider the white dot as it goes out easily. 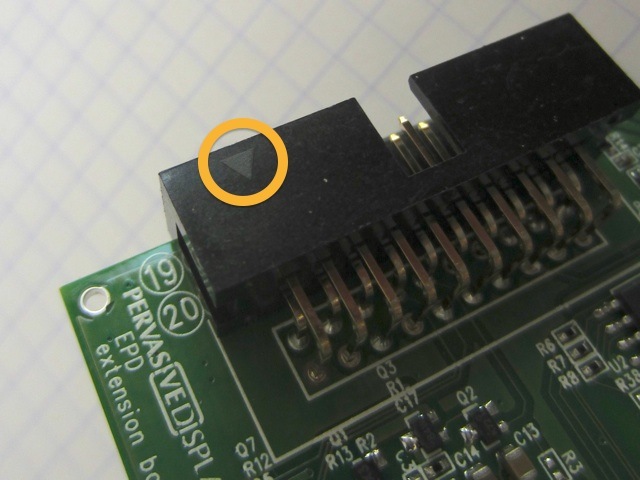 Consider instead the triangle on the top of the header. 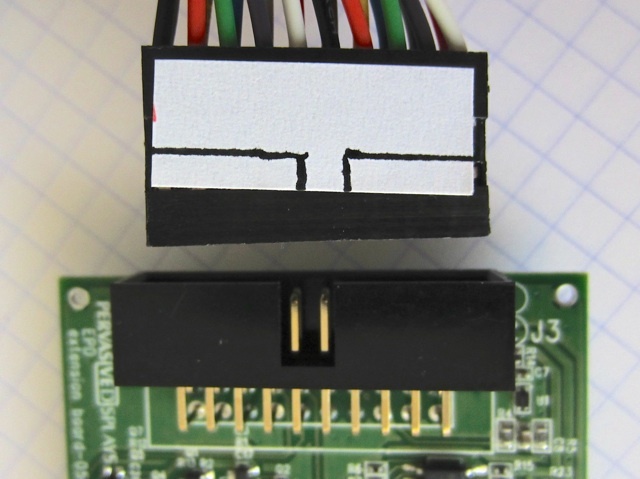 To avoid any misalignment, stick a white paper on top of the connector to ensure proper positioning into the header. Pervasive Display provides a driver to use with the Adafruit GFX library. This allows direct plug-and-play. However, as already discussed, it requires enough RAM to prepare the image to be displayed. A dedicated GitHub repository includes all the examples, with continuous update. A new release of the screen I haven't tested yet no longer requires a PWM signal. 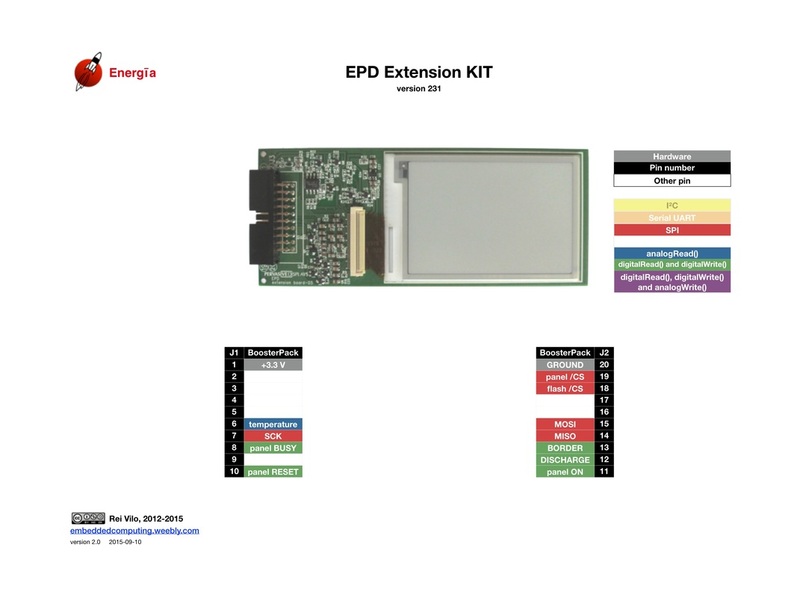 A new version of the EPD Extension Kit Gen 2 is available.